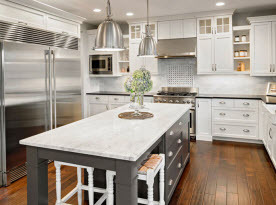 Future Vision Remodeling is the premier remodeling company in San Jose, California providing custom home building, whole home remodeling, room additions, kitchen & bathroom remodeling, exterior remodeling and much more to residential and commercial property owners. We proudly provide the highest level of customer service and satisfaction in the industry. In fact our reputation is built on providing a level of service based on a high standard of workmanship using quality products. 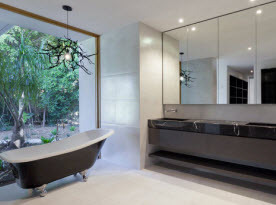 Our experienced team of professionals will design and build you the home of your dreams; in fact our premium custom designed homes are built to last a lifetime. Creating the perfect home should be an exciting process for both you and your Future Vision Remodeling Team. Our knowledgeable designers have the necessary experience to ensure that your home design is the one that you have always wanted. Our services include design and planning using state-of-the-art 3D design software to bring your vision to life. Some of the aspects of design that we focus on include blending traditional elements with modern convenience to give you the best of both worlds . We have a variety of home plans for you to select from and our designers will work with you to make changes that reflect exactly what you are looking for. At Future Vision Remodeling, we design homes that are unique in both detail and design to build your perfect dream home. Customer satisfaction is at the top of our list when it comes to our priorities. We construct your custom home using the highest quality products available. As a family owned and operated company, you can rest assured that we are both dedicated and experienced at custom home building and design. 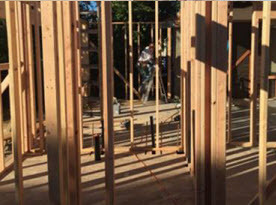 As the premium custom home builder in San Jose, California and the surrounding areas we strive to provide you with an original design using quality workmanship to make your vision a reality. We work hard to excel at a level of excellence that can be seen in every aspect of the finished product. 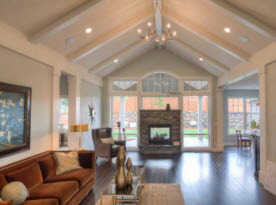 With A Future Vision Remodeling custom home we can design your new home with a comfortable open floor plan to entertain family or friends, or a more intimate space with cozy rooms and large picture windows. The choice is yours. We give you a blank canvas and offer advice each step of the way from our 3D design software to our knowledgeable project managers and master craftsman who are available to offer support along with a personalized touch to your building experience. Unlike many homes that require expensive maintenance, your Future Vision Remodeling custom designed home is built to be energy efficient. We also build our homes with consideration to you and your family’s comfort. Our quality construction results in lower utility bills and we partner with you through the entire design and build process to help you identify your needs. We build homes that have all of the things you want without having to settle for the things that you don’t want. For more information regarding building your Custom Designed Home in San Jose, California, contact the knowledgeable experts at Future Vision Remodeling today.